LIMITED DIGIPAK CD + T-SHIRT BUNDLE FOR THE BRAND NEW ALBUM, OLM - RELEASED 3rd of February 2017. 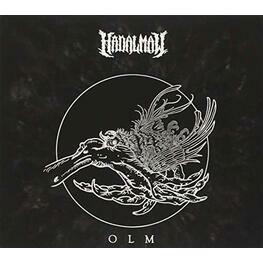 Hadal Maw is a 5 piece experimental metal outfit originating from Melbourne, Australia. The quintet focuses on composing oppressively dense works, putting atmosphere, groove, nuance and aggression at the core of their song-writing ethos. Since their debut in 2012, the band has earned a reputation for possessing one of the most crushing live shows on the touring circuit. Their latest work, "Olm" sees a departure from their break neck technical death metal roots, now dabbling with sprawling atmosphere, thunderous grooves and memorable, crushing guitar lines melded with their dissonance tinged hooks that they've become renowned for.